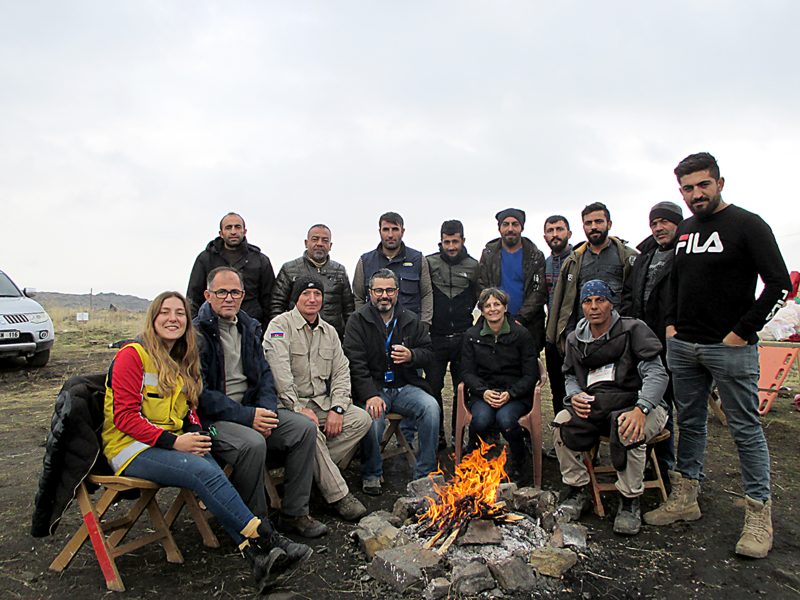 Dr Jo Durham (seated second from right) having a cuppa with the local deminers during a break, in Igdir Province, Eastern Turkey, along the Iranian border. The deminers are funded by MECHEM and the overall project is funded by the EU and implemented by UNDP Turkey Country Office. While some of us spent the pre-Christmas period preparing for festivities ahead, Dr Jo Durham, senior lecturer in Disaster Management at QUT, was on the ground in Turkey, evaluating a landmine clearance project on the eastern borders of Turkey for the UN Development programme.